DeansHall Bishopstown on Curraheen Road, Bishopstown, Cork is luxury Student Accommodation in a great location within walking distance to Cork Institute of Technology and Cork University Hospital Complex and local amenities such as Wilton Shopping Centre, Dunnes Stores, bars, restaurants and is on the main bus route into the city centre. 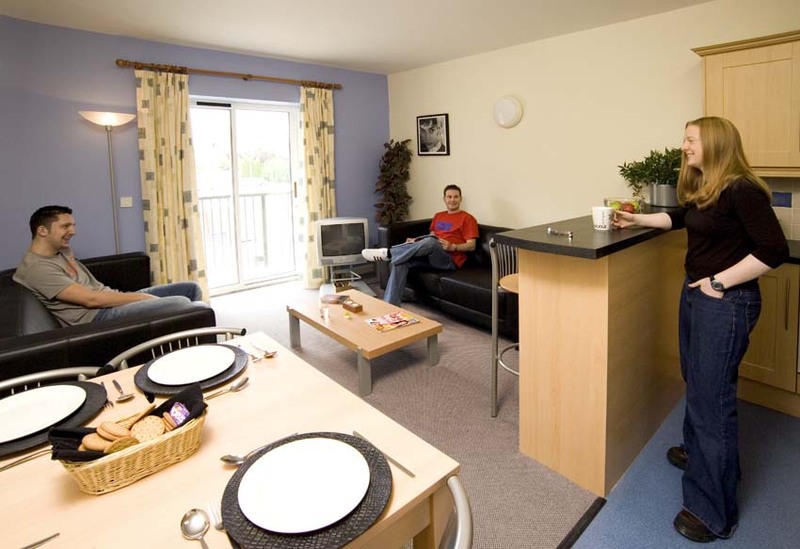 • Walking Distance to C.I.T.
Whilst at university your room really will become your sanctuary – to study, relax, hangout with friends, or just to catch up on sleep! 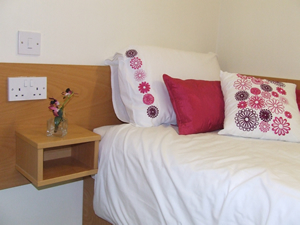 Each roomy study/bedroom has an en-suite shower, toilet and hand basin. We provide a fully fitted wardrobe for your clothes and belongings, a large desk area complete with bookshelves. 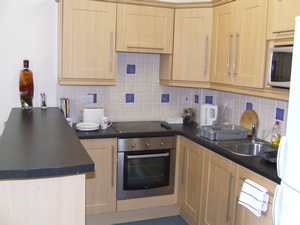 The modern fully equipped kitchens have a breakfast bar for relaxed dining, and a table and chairs are also provided. Every kitchen contains a fridge freezer, oven and hob, kettle, microwave, toaster, cutlery, crockery and cooking utensils. Upon arrival, you can relax with your new flatmates in the comfortable lounge and dining area. Here you’ll be delighted to find that a colour television, complete with Sky satellite channels, is provided for your entertainment. We pride ourselves on offering a ‘Home from Home’ environment. The living rooms are comfortably furnished with great leather sofas, TV and coffee table; with french doors opening onto a balcony. DeansHall takes student safety extremely seriously. Our reception is open from 9 am to 5.30 pm and we have security on site from 9pm to 4 am to lend assistance if required. Door entry and intercom systems restrict access to the complex, with CCTV surveillance giving further protection. DeansHall maintains an exemplary standard of security, ensuring the safest possible environment for all our residents. Error: Error validating access token: Session has expired on Saturday, 13-Oct-18 08:58:49 PDT. The current time is Wednesday, 24-Apr-19 21:10:54 PDT.